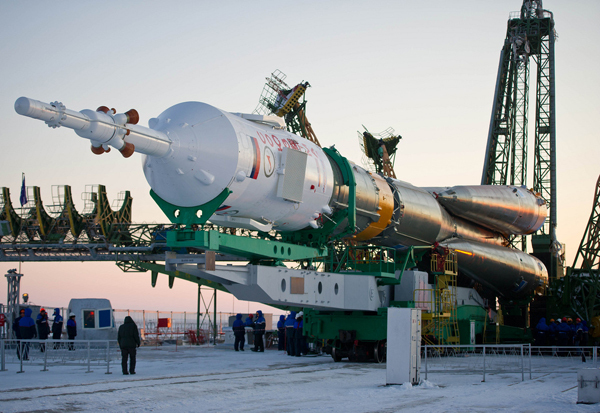 The all-veteran crew -- Soyuz TMA-03M commander Oleg Kononenko, European Space Agency astronaut Andre Kuipers and NASA flight engineer Donald Pettit -- is scheduled for launch from the Baikonur Cosmodrome in Kazakhstan at 8:16:15 a.m. EST (GMT-5). Forecasters are predicting clear skies, with temperatures just above zero degrees Fahrenheit. 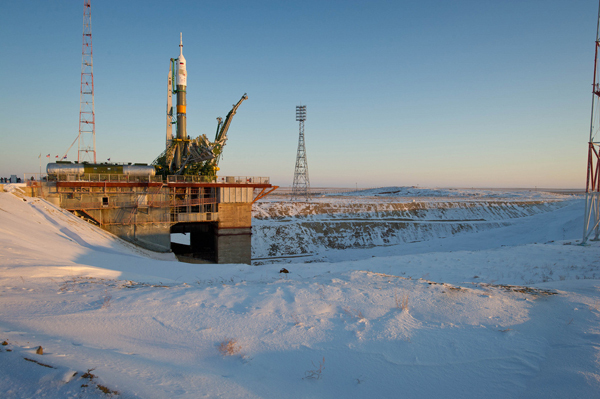 If all goes well, Kononenko will oversee an automated approach and docking at the station's Rassvet module at 10:22 a.m. Friday, two days before Christmas. 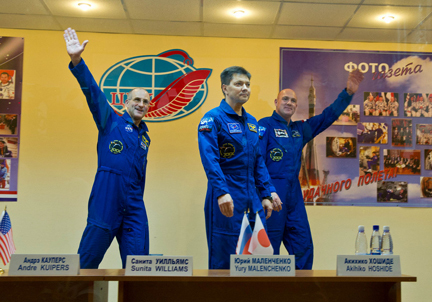 "We've been so busy preparing for the mission, it's hard to think too much about Christmas," Pettit said during a pre-flight news conference. "However, our commander on station, Dan Burbank, will probably have the Christmas hats and the wreaths and the stockings hung with care." 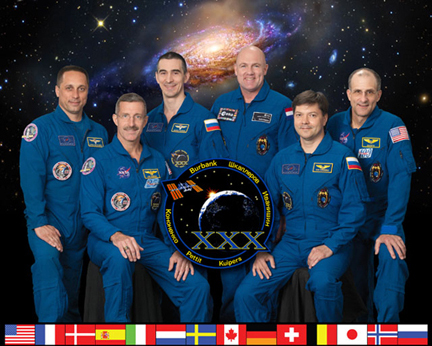 Pettit, who holds a doctorate in chemical engineering, said in an earlier interview that he is looking forward to carrying out research aboard the space station, "working on what the purpose of space station is, which is using it to do something meaningful in terms of facilitating human exploration." Burbank and his crew originally were scheduled for launch in September, with Pettit's crew following at the end of November. But the crew rotation schedule was disrupted after a Progress cargo ship was destroyed during launch Aug. 24 when its third stage engine, virtually identical to the one used in the manned version of the Soyuz booster, malfunctioned and shut down before the craft reached orbit.